1st April 2019 : Bester Capital Dubai- is the only Dubai based firm that owns a team in Moto-3 is basking in the glory of Jaume Masia, who overtook his competitors yesterday (Sunday 31st March, 2019) to reach the winners’ podium in Argentina. This win adds another feather of glory to the owners of the team. Riding a KTM bike, Jaume Masia – owned by Bester Capital Dubai – took over at the top of the timesheets in Moto3 at the Termas de Rio Hondo circuit, in Argentina on Sunday, March 31. 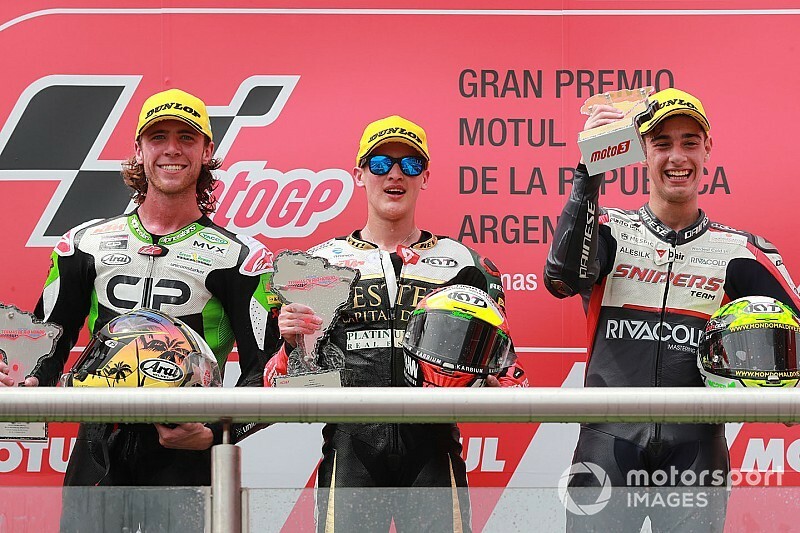 Jaume Masia (Team Bester Capital, 25 points, 1st Position) beat compatriot Darryn Binder(Team CIP Green Power, 20 points, 2nd position) as action opened for MOTO GP fans in Argentina, with Tony Arbolino (Team VNE Snipers, 16 points, 3rd position) completing the top three positions. Jaume Masia (Team Bester Capital) was able to overtake Darryn Binder by 0.108secs. MotoGP is one of the oldest motor sports event in the world. It is followed by people all over the world who have a particular liking for motor sports. MotoGP or Grand Prix motorcycle racing refers to the premier class of motorcycle road racing events held on road circuits sanctioned by FIM (Fédération Internationale de Motocyclisme). Grand Prix motorcycles are purpose-built racing machines that are generally unavailable for purchase by the general public or able to be ridden legally on public roads. The championship is currently divided into four classes: MotoGP, Moto2, Moto3 and MotoE. The first three classes use four-stroke engines, while the MotoE class (new in 2019) uses electric engines.